Father Brian Slezak grew up on a dairy farm in Rotterdam Junction, where he was a parishioner of St. Margaret of Cortona Church; he attended the former St. Helen's School and Notre Dame-Bishop Gibbons School in Schenectady. He entered The College of Saint Rose in Albany in 2001 to study history and political science. After graduation, he spent the summer and fall teaching history on a tugboat that toured the state canal system, and worked as an environmental specialist for FEMA for almost two years. 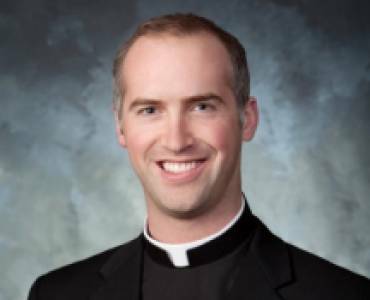 He entered the seminary in 2008 and spent six years studying at the University of St. Mary at the Lake in Mundelein, Ill. During seminary, he spent two summers learning Spanish in Bolivia and served at Our Lady of Victory parish in Troy, Immaculate Heart of Mary in Watervliet and St. Jude the Apostle in Wynantskill, doing hospital and homebound ministry and parish work. 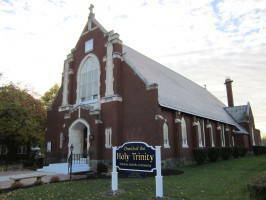 Before being appointed as Pastor at the Church of the Holy Trinity, Father Slezak was the Associate Pastor at Blessed Sacrament in Albany.